Despite all the obstacles it faces, the political interference it continues to endure and the litany of criticism it is (unfairly) subjected to, Gozo Channel Ferries steadily continues to do what it is supposed to do – transport people, cars and goods back and forward between the islands. In my view it does this with commendable efficiency and in normal circumstances reliability. Invariably, the ferries are on time, clean and (leaving aside some of the behaviour of its customers and staff) safe. I am constantly impressed at how efficient arrival, unloading, reloading and departure normally are. I remain impressed at how the engineering staff keep the ferries operating despite their heavy usage. The queuing system generally works (the bad behaviour of some ‘very important people’ and the individual aggressiveness of some ‘ordinary’ travellers aside). Even on its busiest days, given the sheer volume of people who want to travel all at the same time, the queuing system works well with the assistance of the police. 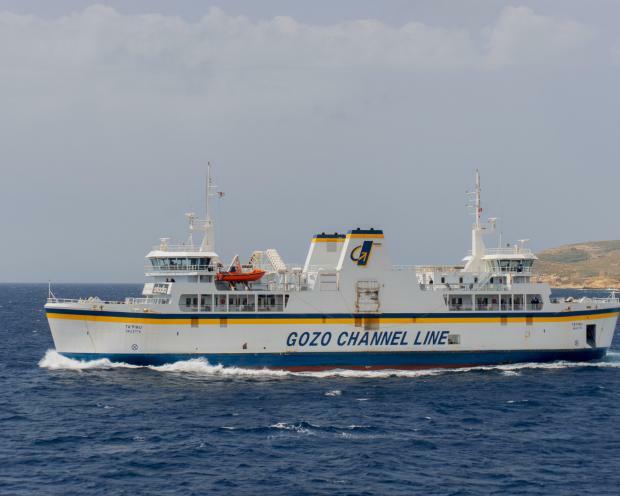 Gozo Channel operates 24 hours per day, 7 days per week, even through the night (the 3.30am ferry is worthy of an extended essay in its own right). For this, the company and its staff deserve considerable thanks and respect from both Gozitans and Maltese. Many island communities across Europe and beyond would welcome (even celebrate) such steady service. Alas, this is all too often not the case here. I am constantly amused at how popular the sport of excoriating Gozo Channel is for all the Malta/Gozo connectivity ‘failings’, the vast bulk of which have nothing to do with the ferry services per se. The obvious and urgent need for a fast ferry service to multiple locations requires no great vision or argument. It has gone on for decades at this stage without result. The latest politically-driven mess attests to the fact that this need is just not taken seriously, despite endless spin. Almost inevitably, corruption dogs the service from the petty larceny of the ship’s café to the ‘missing’ passengers and cars in the company’s accounts to the most recent ‘grand’ plan for fast ferries. This reality damages the service. The problem is by no means unique to Gozo Channel, it is symptomatic of the Maltese ‘friends of friends’ approach to project ‘planning’. Sadly, it circumscribes and prevents professionalism. The ‘failings’ have little to do with the ferry service per se but are rather those of the political and economic context and agendas the service is forced to work with. And, now into this mix…a tunnel would you believe! Amid the cacophony of political spin and distraction, the service provided by the ferry over many, many decades (and the extended service now urgently required) is in danger of being side-lined and ignored. What now needs to be done and what could actually be done is ignored for even grander visions and promises. This reality is to the disadvantage of all, least of all dependent on the ferry service on a daily basis. In the meantime, I salute the service provided by Gozo Channel and its staff in difficult circumstances. I, for one, appreciate it.